noun: a social group of any size whose members reside in a specific locality, share government and have a common cultural and historical heritage. I guess that does describe a community--like Broomfield, Westminster, Thornton. But when I think of “community” in relationship to my faith, it means so much more. Lately I’ve been in a season where God has given me a great awareness and deep gratitude for the community of believers that He has allowed me to be in relationship with over the years. This got me thinking about years ago when my husband and I were pretty newly married and helping with the youth group with a number of other married couples at our church in Florida. Our Youth Director and his wife had moved from the New England area and had been in a small group at their previous church with other married couples. They suggested that all of us couples should form a small group and meet regularly. Well, this was quite the foreign concept to us at the time – we had never been in a small group. What do we do there? Is it super formal, like a class? Would we have to share all about our marriage, our lives, our struggles? Did we know enough about the Bible to be in this group? Honestly I was fearful of the unknown. As much of a “people person” as I was, I wasn’t really sure that this small group thing was for me! I remember not too long after that season I heard of small groups being defined as a place to “Know and be known.” That did resonate with me. To know and be known. It sounded like a good thing, but still a little scary when you’re first starting in a group. Knowing and being known comes with some real vulnerability, responsibility and accountability! While that first experience with our Youth Director and friends did turn out to be ok, and we still remain close with many of those people today, “community” or “knowing and being known” didn’t just magically happen overnight. It took time, intentionality, and the choice to be a little vulnerable with one another. It was hard at times, but worth making the choice. Today, I wouldn’t trade the community that I’ve experienced in some of the small groups I’ve been in for anything! The community built has always been totally worth the work it took to overcome all of those fears listed above. I’m so grateful for the ladies I get to be in Bible Study with each Friday and all I learn from them, and for the families that my family meets with monthly. These people are the first ones I go to with prayer requests. They are the ones who brought dinner for us when my husband had neck surgery. They are the ones that will email me encouragement at exactly the time I need it. And when in community with them, that is often where I see God show up in the most amazing of ways. Maybe you have a group like this. Maybe it is a group of friends in your neighborhood, parents at your child’s sports games, a club you belong to. You can build community anywhere. At BUMC, we are so fortunate to have such a vibrant small group ministry. If you don’t have community in your life, or if you haven’t ever joined a group here with others who share your faith - take a step. Check out a ladies group. Check out a Bible Study, a men’s group, or a family group. Pastor Thomas has small groups for so many different types of purposes. Overcome those fears. Know and be known. It is worth it and a choice you will not regret! God created us to be in community with Him and with others! Community is at the core of how we are designed. This may be natural for some, and not so much for others. But it is important all the same. The blessings are SO worth taking the chance. Do you have an awesome small group? Tell us about it in the comments below! 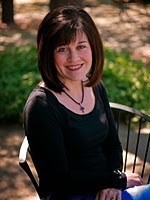 Vicki Cromarty is the Family Ministry Director at BUMC. She loves getting to know families and kids and having the privilege to learn with them about God’s amazing love. Vicki has been married to Dave for 16 years and they have one beautiful daughter, Lauren, who is 12 years old. She loves spending time with her family and friends, enjoying all that beautiful Colorado has to offer! You can contact her at vicki.cromarty@broomfieldumc.org. For the Love of Spring!